Amaranth a sacred place for Hindus is located at the altitude of nearly 3888 meters in the south Kashmir, in the Jammu and Kashmir state of the India. It is 46 km from Pahalgam and 141 km from the state capital Srinagar. The journey to the sacred place starts from Chandanwari, the base place for the upward journey. The Linga is located inside the holy cave at the end of the sacred journey. The pilgrimage has two routes, one from baltal and another from Pahalgam. The Yatra is organized by the Amaranth shrine board with the support from the government of the Jammu and Kashmir. The pilgrims come and start the journey from the Chandanwari which is 16 km from the Pahalgam. The next level of Journey from the Chadanwari to the holy cave is covered just by hiking or using the services of ponies. The Pissu top is the first Stop towards the holy cave. The next stop is the Place with seven hills, known as Sheshnag. The seven peaks resemble the head of a snake with seven heads, that is why the name Sheshnag. The next level of the journey is considered a bit difficult for old and sick pilgrims, as it involves tracking of steep height at more than 4000 meters for 4.6 km and then descend to Panchtarni, a meadow land, at the height of 3657 meters. The route is full rivulets springs and waterfalls. The camp at this place comes at the end of the third day. The Darshan of holy caves comes after the confluence of rivers of Amravati and Panjtarni. The pilgrim can take a dip in the river before the entry into holy cave. The holy cave has the Linga of the lord Shiva. There are two other smaller lings of Ma Parvati and Ganesh. The Amaranth Yatra of the 2018 will start from the end of June and last up to august 2018. The time of the total Yatra was of short duration in the last year, but this year the duration will be about 60 days. The registration will start from March this year and 7500 seats are allowed on each route per day. The helicopter services are part of the Packages. 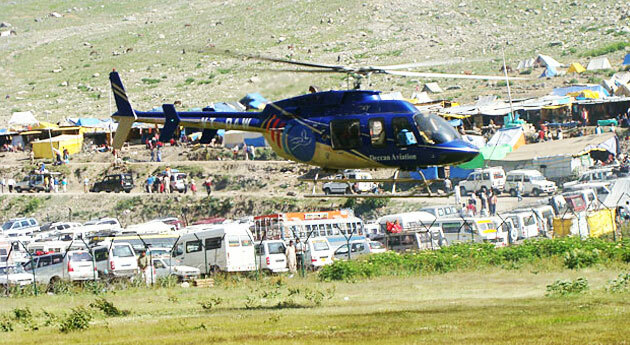 The helicopter services go only up to Panchtarni. From the Panchtarni to the holy cave one has to trek. The total package takes 3-4 days and nights. 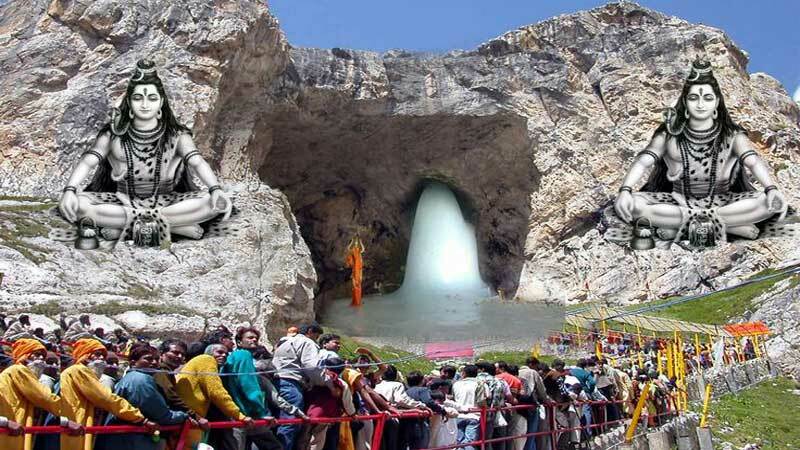 The Amarnath Yatra Packages include camps which are heat and water proof, self-serving buffets, hot water on the nominal charge, bed, mattresses, pillow, blankets and sightseeing of local places which are world famous sites and local transport facilities. The goods and serves tax of 5% will be in addition to the package total cost.